This session was a fun one, and I don’t say that too lightly. 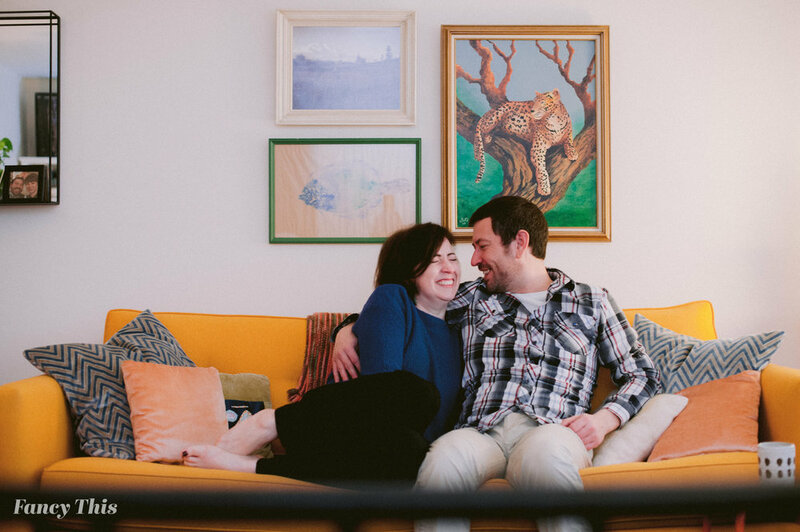 Whenever I do an engagement session my number one priority is to get to know the couple—and not just the day of. 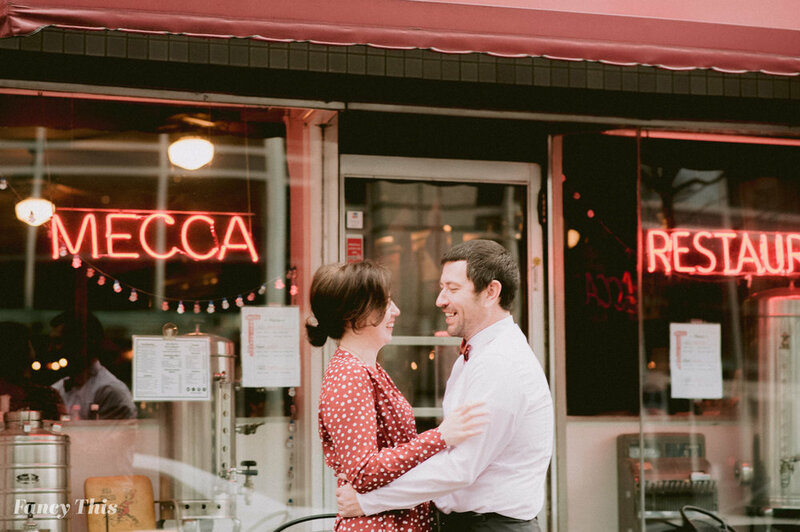 Julia and Kurt wanted their engagement session to be a reflection of them, what they do in their life, and maybe even incorporate where they had their first date—Mecca. When Julia sent me photos of her house my jaw almost dropped. 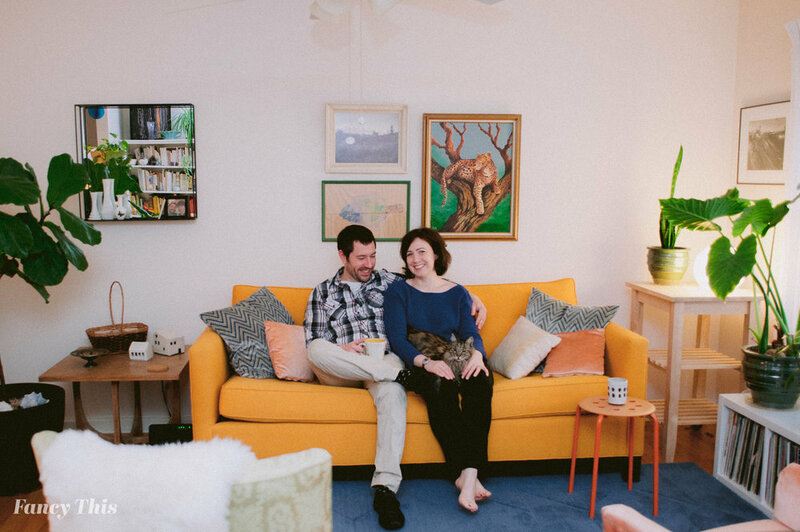 This lady has the best vintage retro eye and styled their home so perfectly! You guys know that I love mustard yellow, and yall, their couch was this exact color! Oh, and they have a cat named Carlos who was equally as retro and just super sweet. 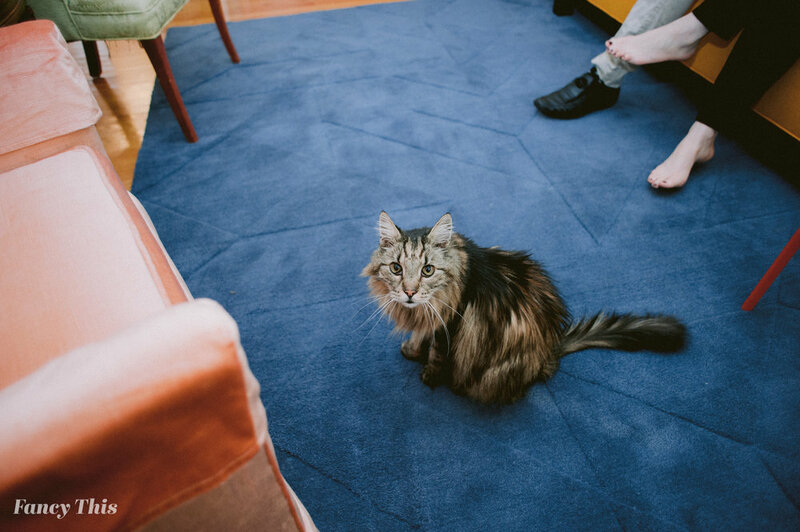 Fun fact, if you have a cat present at your engagement session I will automatically fall in love and make the cat pose with you in any and all photos. I don’t always do in-home sessions, but I feel like I should offer more. There is just something so nice about them—think about it, when your 20 years older and maybe living in a different house, and you can see how much you’ve grown, the happiness you felt, and see memories from the beginning years of your life together. This is something that I think goes unnoticed while youre in the moment, but will bring back some wonderful and dear memories later on in life when you may need them the most. 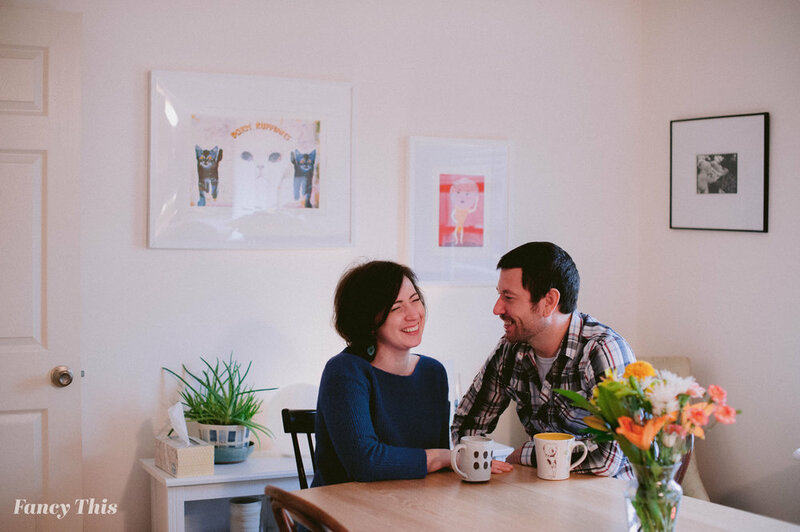 I say the more in-home sessions the merrier—it’s a part of your story, and your story matters.